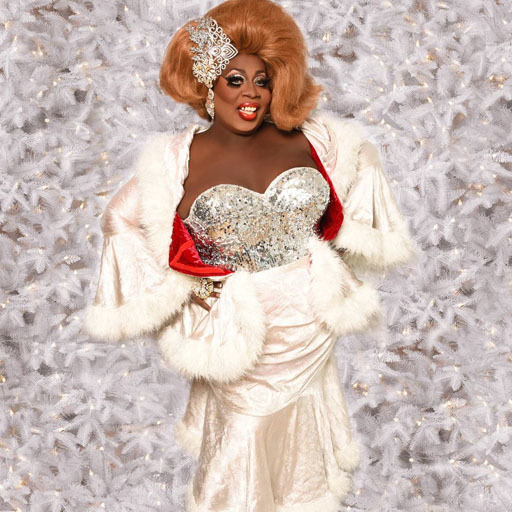 This has been a great week for RuPaul’s Drag Race star Latrice Royale. This morning, Royale was announced as part of the cast for the upcoming 4th season RuPaul’s Drag Race All-Stars. But it was the voters in Florida on Tuesday night that really put the cherry on top of Royale’s sundae. Approved by 65% of voters, Amendment 4, which restores voting rights to convicted felons as, was passed by the Sunshine State voters. Before folks go crazy, the Amendment only applies to those who have completed their sentences and does not cover those convicted of murder or sexual offenses. According to reports, this will affect nearly 1.5 million Floridians, including Royale. Back in 2001, Royale (real name Timothy Wilcots) was busted for carrying both marijuana and Klonopin. Possessing the tranquilizer without a valid prescription is a felony in Florida. Royale served a year in prison for his mistake. But upon release, he found he could no longer vote as Florida had a lifetime ban for convicted felons. In other states, folks who serve time have their voting rights restored after being released from prison. Now, to be technical, felons who completed their time in Florida could wait five years, petition for consideration, wait up to a decade to be approved…blah, blah, blah. Before voting began on Tuesday, Royale took to social media imploring those in Florida to vote because he could not. And then came the results on Tuesday night. Thank you #Florida YOU DID IT!!! #Amendment4 #Passes I will get my #Right to #Vote back!!! A change is gonna come! The former ‘Miss Congeniality’ from RPDR Season 4 also thinks that different crimes should carry different consequences. Be sure to catch Royale and all the queens on RuPaul’s Drag Race All-Stars Season 4 beginning December 14 at 8/7c on VH1.